The Spider ST is a revolutionary ballasted roof mount that won the Department of Energy's 2012 Sun Shot award. Accreditation indicates that IREC is in procedural compliance with ANSI's requirements. SEIA applauds the Georgia PSC for recognizing the benefits Georgia stands to gain from a build-out of solar energy. Argosy Wind Power's turbine manufacturing competitor published misleading information to the media stating Argosy was blocked from selling wind turbines. Official court documents prove the sales ban announcement is false: karma smiles on Argosy as community wind turbine sales increase globally. Ahead of Mexico's hotly anticipated energy reform David Pencheyna, President of the Senate Energy Commission, inaugurated the Mexican International Renewable Energy Congress, highlighting the importance of renewables in Mexico's future energy mix. MicroPower Global's highly efficient semiconductor chips could provide a solution to Boeing's recent difficulties with overheating leading to fires on their aircraft. 07/11/13, 08:07 PM | Solar & Wind | Ascent Solar Technologies, Inc. 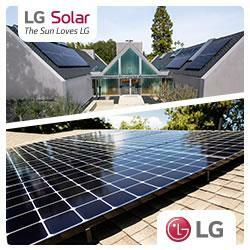 Solar installation company offers residential customers the opportunity to retrofit their homes with LED lighting.